CP Shades has managed to stay relevant in the fickle world of fashion for thirty years. I have ancient pieces in my wardrobe that I’m loathe to throw out, and here’s why: their stuff is the epitome of easy, while still remaining on trend. This silk tie neck top with 3/4 sleeves will be the piece you reach for whether you dress it up with a pencil skirt or throw it on with skinny jeans. (remember, big on top, skinny on bottom; click here for my fashion rules!). 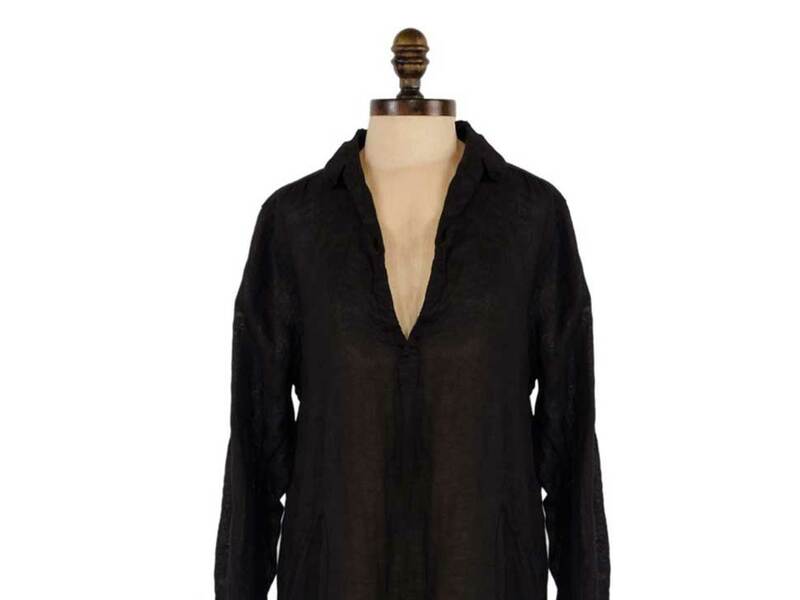 An instant update to any wardrobe, in black washed silk at Kimberly Boutique. $150. Say you saw it on The E List and take 25% off this top through 9/30.